How Does the Atwater Seed Library Work? How and Why Did We Choose the Seeds? Seed libraries are not only a response to losses in agrobiodiversity; they are also a response to the corporatization of seeds. Just three companies (Monsanto, DuPont, Syngenta) control 53% of the global commercial market for seeds. The world’s largest seed company, Monsanto, now controls 27% of the seed market. Seed libraries function like regular libraries in that anyone can take out seeds. Library users are then asked to check some of the seeds back into the library at the end of the growing season. Most seed libraries emphasize bringing open-pollinated heirlooms back into the public domain. More than just making novel varieties of seeds available to the public, seed libraries can help to build community and even regional seed security. The seed library movement is growing! It is estimated that as of 2015 there are over 340 seed libraries in North America, 27 of which are located in Canada. In Montreal, we know of three other such initiatives which include the mobile Concordia Seed Library, Côte Saint-Luc and Pharmaseed, a medicinally focused seed library. The Atwater Library Seed Library was initiated by Deanna Kazina while she was a student at Concordia University. Deanna, a long time gardener from Winnipeg, was inspired to start a seed library after a trip to Tucson, Arizona where she attended Native Seed Searches, Seed School. At the same time as planning the Atwater Seed Library, Deanna helped start a seed-saving demonstration garden at the Concordia University Loyola Campus. This demonstration garden has grown, and will continue to grow, some of the seeds in the Atwater Library Seed Library collection. The garden is an initiative of Concordia Greenhouse City Farm School and Action Communiterre. Deanna is currently working on creating a mobile seed library that will run out of Concordia University. 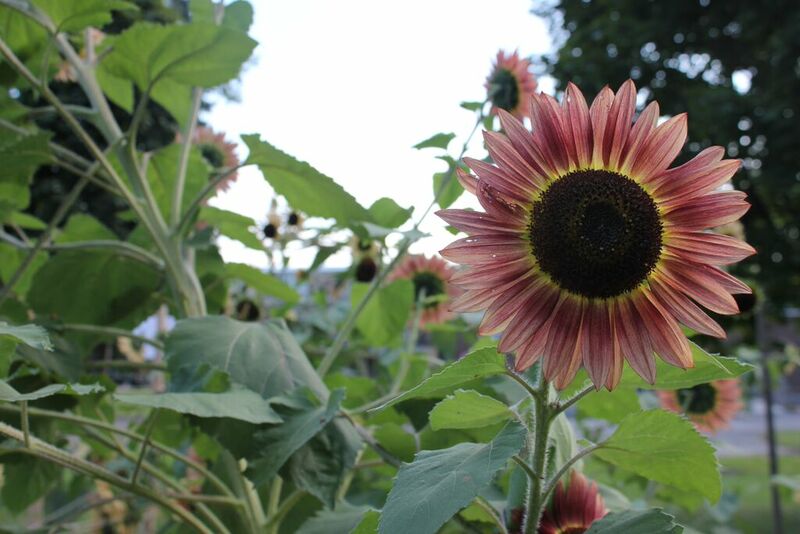 The mission of the Atwater Library Seed Library is to promote food security by providing seeds to the residents of Greater Montreal for the purpose of creating a local seed supply to be maintained by the community. In this way, we hope to build and share knowledge around growing and saving seeds, in an effort to build community, strengthen resiliency, and promote a culture of sharing. encouraging Montrealers to discover and grow Quebec heirlooms and other regionally grown seeds. to steward seeds for the coming generations. How Does the Atwater Library Seed Library Work? If you are interested in seed saving a particular variety, we suggest that you grow the minimum number of plants as recommended by Seeds of Diversity Canada. The minimum number of plants is in order to maintain the genetic integrity of that particular population. You can find the full list in our resource binder located in our Atwater Library atrium. Using the Library’s catalogue, you will find all the seeds in our Seed Library using the search term “seed library.” In the atrium, you will find a binder with descriptions of all seeds in the collection as well as a resource binder explaining how to save common vegetables and flowers. Seed to Seed: Seed Saving and Growing Techniques for Vegetable Gardeners, Suzanne Ashworth and Kent Whealy. Seed Sowing and Saving: Step-by-Step Techniques for Collecting and Growing More Than 100 Vegetables, Flowers, and Herbs, Turner, Carole B. If you already save your own seeds, share them with your community by checking your seeds into the Library for others to use. Contact Kimberley Ryan at kryan@atwaterlibrary.ca or 514-935-7344. Three priorities were established to guide seed selection. Preference was given to seeds that were historically grown in the Montreal/Quebec region, followed by seeds that were regionally produced. Seeds which are easy to save and grow in compact conditions, like beans, peas, tomatoes and lettuce, were also prioritized. Seeds grown locally are more adapted to that particular growing environment. Also, locally grown seed tends to be produced by smaller seed companies who do not source their seeds from all over North America. 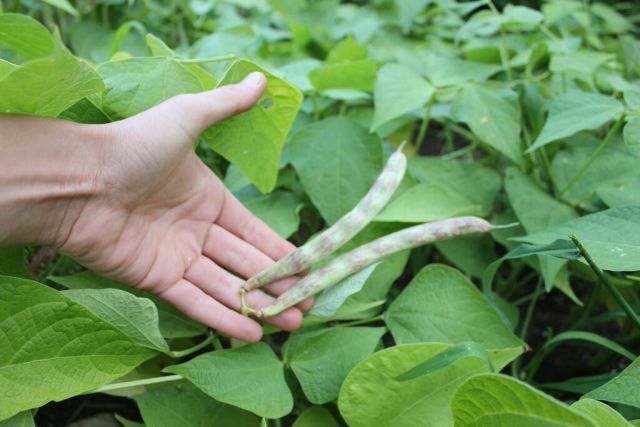 The sourcing of seeds from multiple places can result in seeds that were grown in various climatic conditions – some of which may be drastically different from our Montreal region. We did our best to source seed from the Montreal region. However, we were not able to do this for all of the seeds in the collection, as some Quebec Heirlooms were difficult to source. 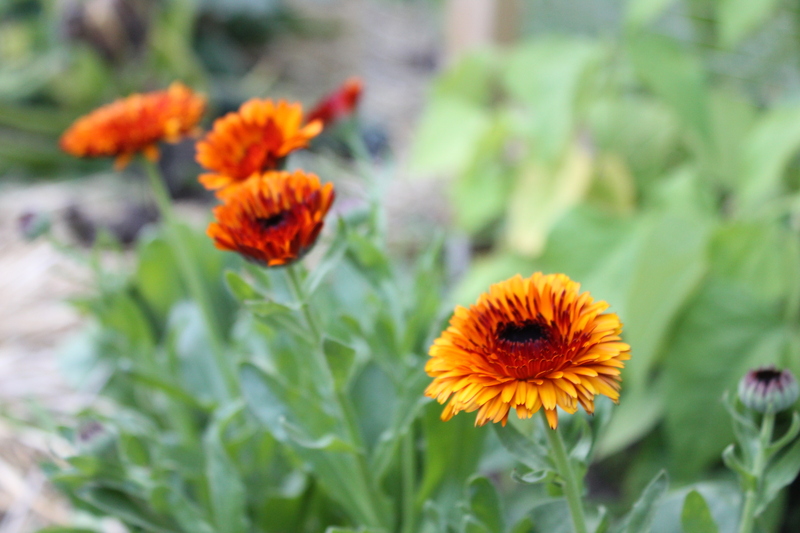 We also chose to support seed companies that donated seeds in 2014 for the seed saving demonstration garden, Tournesol Co-Operative Farm and The Incredible Seed Company. Finally, we did not want to choose too many seeds for the Library. Why have a collection of 100 different beans if there are not enough people to grow 100 bean varieties out? 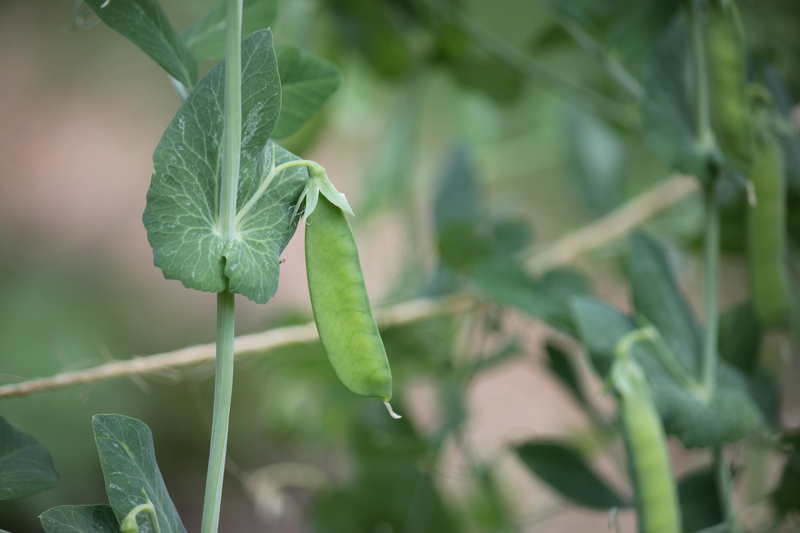 Our logic, in the words of seed-saving expert Caroline Chartrand, is that “it is better to grow a few varieties well, than to grow many varieties that you can’t maintain”. Seed saving requires some basic knowledge, but really anyone can get the hang of it. We hope to encourage Atwater Library Seed Library patrons to develop the knowledge needed in order to help preserve the unique varieties and amazing agrobiodiversity contained in our catalogue and to build this catalogue for future generations. We hope that by beginning small, people will realize how easy, and truly necessary, it is to save seeds. For more information, or to get involved with the Atwater Library Seed Libary contact Kimberley Ryan at kryan@atwaterlibrary.ca or 514-935-7344. In the last one hundred years, approximately ninety to ninety-five percents of fruit and vegetable varieties have gone extinct. Many scientists believe that this decline in agrobiodiversity threatens the world’s food security. In North America, most of the historically documented varieties have disappeared. For instance, 86% of the 7,098 apple varieties described between the hundred-year period of 1804 and 1904 are now gone. This apparent decline in agrobiodiversity is not limited to the Western hemisphere, but rather it is a global pattern that has become increasingly evident over the last several decades. For example, in the 1940s over 10,000 wheat varieties were available in China, but already by the 1970s only 1,000 remained. The disappearance of vegetable species represents a loss of genetic resources that could otherwise be considered a safeguard against imminent threats such as climate change. Many biologists, ecologists, and naturalists consider biological diversity to be the foundation of resiliency, and so a loss of genetic resources inevitably increases human vulnerability. The 1845 Irish potato famine, where over 1 million people died of starvation as a result of potato blight (and British landholding policies), provides an apt historical illustration of just how important agrobiodiversity can be. At the time, potatoes were Ireland’s main staple and nearly all of the potatoes which the Irish grew descended from only two genetic parents. When blight struck, these particular potatoes possessed no resistance, and as a result, the potato crop was wiped out and famine ensued. Though the potato famine of 1845 may seem like a distant and forgotten history, our current food system has many of the very same vulnerabilities. Globalization of the food supply is severely compromising all types of diversity. Take a look around your local grocery store and you will see that only two or three types of potatoes are available, even though 1000’s of varieties actually exist! This is the case with most any vegetable and fruit you can think of. The primary reason for this lack of diversity is that many varieties do not fit the corporate needs of food production. Beyond supporting local farmers, growing and saving seeds from your own garden is one way to address the insecurity and dysfunction of our current food system. When you grow and save your own seeds, you can choose the varieties that taste the best, grow the best, and those plants which suit your needs! At the same time, you are doing something much bigger – you are contributing to changing the very relationship we as human-beings have with our food. People have been saving seeds for millennia. Many of the indigenous crops of South America (corn, bean, squash, pepper) which later made their way to North America and the rest of the word, were in some cases domesticated as far back as 8,000 years ago! Seed saving is part of humanity’s collective heritage. People save seeds for so many different reasons. Whatever your reason is for saving seeds, know that it is a powerful act! Communities all over North America and the rest of the world are working to reverse the losses in agrobiodiversity that have occurred over the last 100 years. Seed libraries are one innovative and much-needed tool that can help. ETC Group report. 2011. Who Will Control the Green Economy?. Conner, Cindy. 2014. Seed Libraries and other means of keeping seeds in the hands of the people. New Society Publishers. See the December, 2011 ETC Group report, Who Will Control the Green Economy?, . plant genetic resources. Kluwer, Dordrecht, The Netherlands. Khoury, Colin. et al. 2014. Increasing homogeneity in global food supplies and the implications for food security. Proceedings of the National Academy of Science of the United States of America. Mackinnon J.B. 2013. The Once and Future World, Nature as it was, as it is, as it could be. Random House Canada. Harcourt New York. Mir, Calvet Laura., Mir, Calvet Maria, Molina Luis, Jose., Reyes-Garcia, Victoria. 2012. Seed Exchange as an Agrobiodiversity Conservation Mechanism. A Case Study in Vall Fosca, Catalan Pyrenees, Iberian Peninsula. Ecology and Society 17(1): 29.